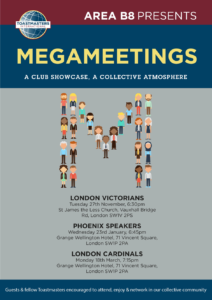 As part of the initiative to strengthen the area and build stronger relationships, Area B8 has kicked off a new initiative for the Toastmasters 2018 – 2019 year; Megameetings. 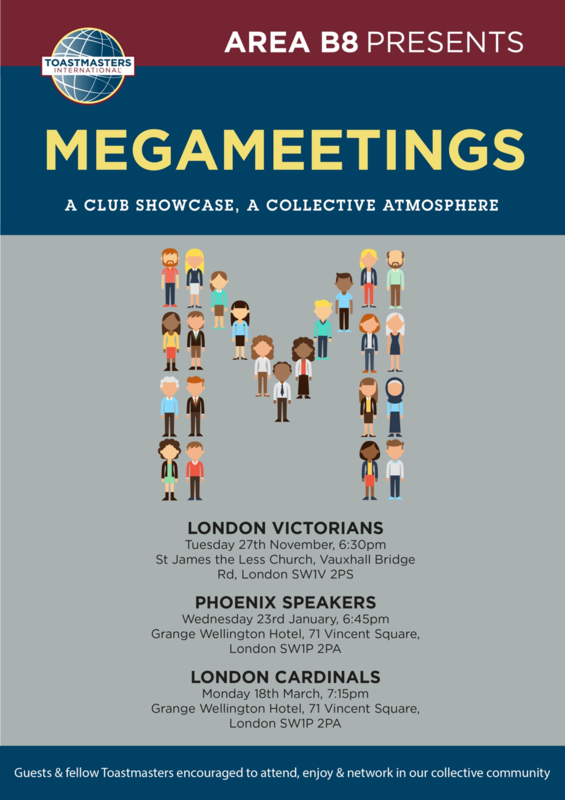 A Megameeting is where each club in the area host a special club meeting. This provides an opportunity where members across the area can make a special effort to both market and attend their neighbouring club. Area B8 Area Director, Nuala McHugh, envisages many advantages to holding Megameetings in the area. For example, the audience would be bigger and the meeting atmosphere greatly enhanced. This will challenge members to conduct roles and speeches within a larger crowd environment with a set of new faces. 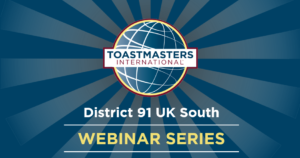 Nuala also hope it will cement relations thereby bringing a greater community feel; engaging many new members who do not realise that there is a lot more to Toastmasters than their home club. We look forward to soaking up the vibes and the unique atmosphere that each club has! The monthly Club Strengthening & Rebuilding Forum will run on the first Sunday of every month. 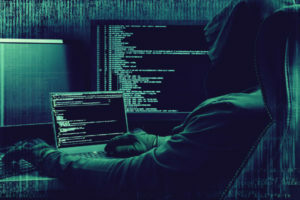 Follow this single registration link to access the webinar each month. On 5th May 2018, as part of the D91 Spring Conference, there will be an AI & Tech Business networking breakfast in Bracknell. Come along and participate with industry experts in a meeting where Artificial Intelligence (AI) and Cyber will be hotly debated. 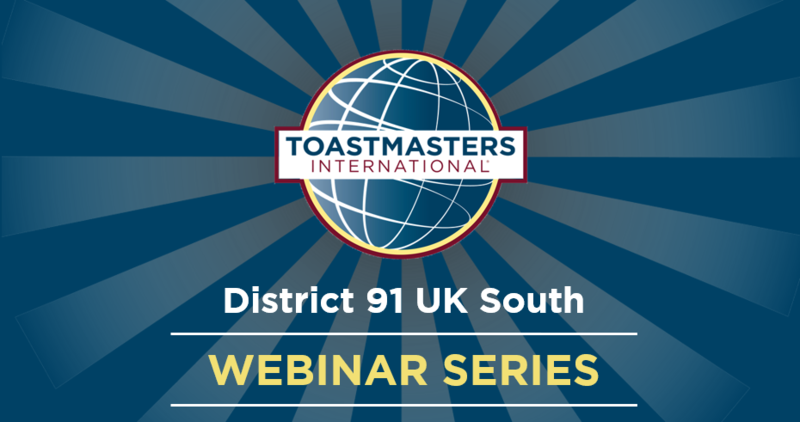 In this year’s District Officer Training we’ll be looking at our goals, what we want to achieve as an organisation, and when these objectives will be met. There will be some training to follow. Read more for our agenda for what promises to be a most enlightening meeting.